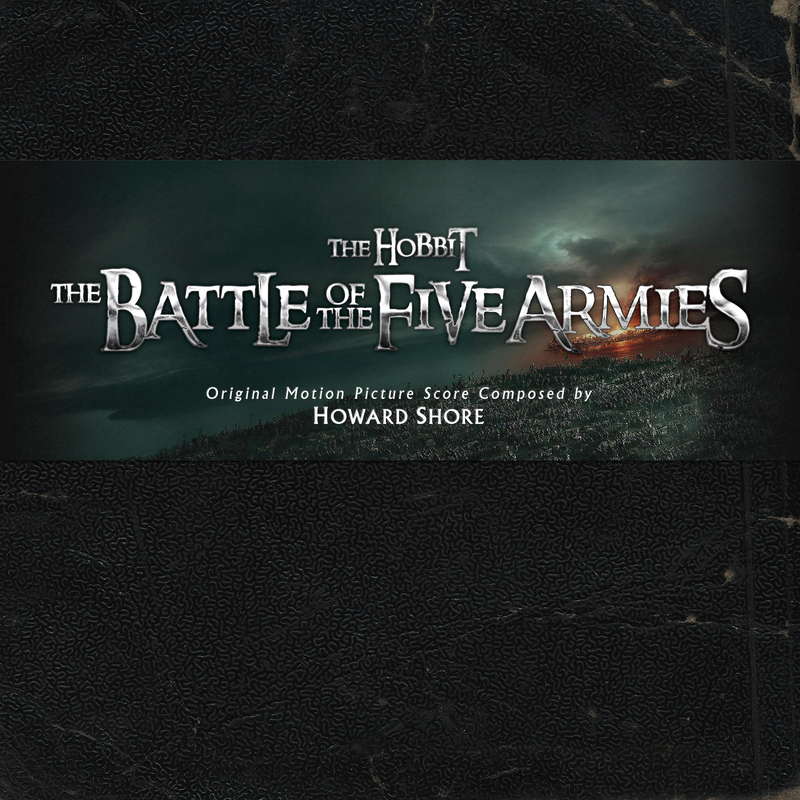 So one could say that Howard Shore’s Middle Earth music dominates my little blog right from its beginning. I wonder what movie/score is going to fill that spot by the end of next year? Probably Star Wars. Or my old Lord of the Rings custom covers that already take waaay too long to remake. Or maybe something completely different, like this year’s Godzilla. 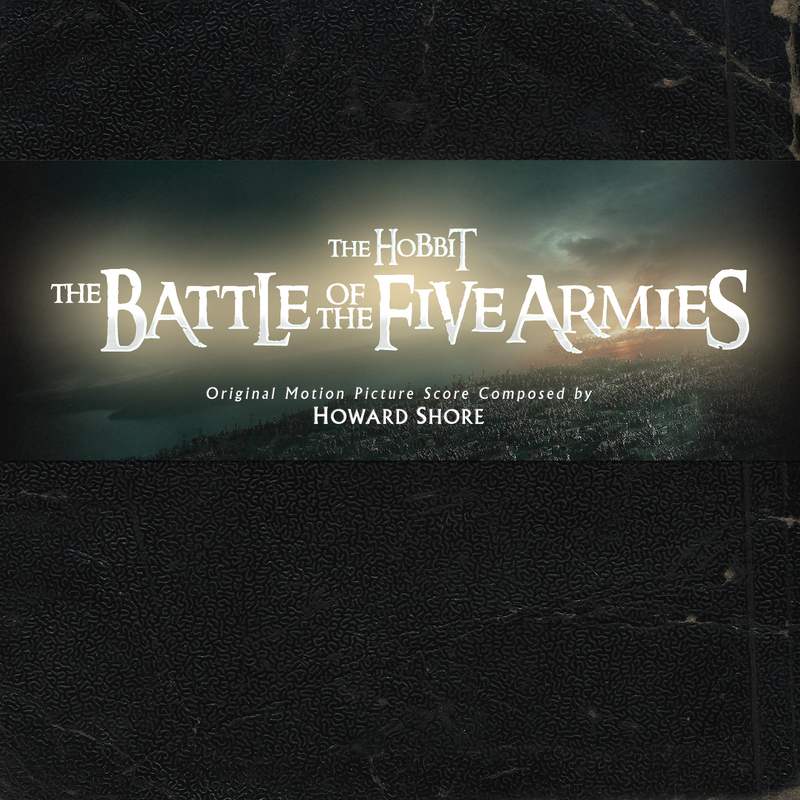 First, however, it’s time to bring the Hobbit custom cover trilogy to a close. The first cover within this series is based on the final one sheet (#1). I’m sorry for removing Smaug from the cast collage, but there was just no way I could fit him into the square picture. I added a smaller version of him circling his lonely mountain, see? Never let it be said that I bully dragons. Another thing you may have noticed is a tiny difference in the allegedly original artwork of the Standard Edition (#2). And you’re right. Being the perfectionist that I am, it bothered me right away (literally!) that in the real original the archway in the back was partially covered by the album text. So I fixed that error for you. You can thank me later! Let’s talk about the colour choice for the Special Edition (#3) for a moment. The closer the announcement day of the soundtrack came, the more excited I got. We’ve seen the RGB’s on the Lord of the Rings trilogy and an earthly brown as well as the noble purple for the first two Hobbit scores. For the third entry I was anticipating something classy, maybe silver or an elegant black. Seeing a turquoise tinted soundtrack cover was very strange at first sight. And I still find it an odd choice. That’s no colour I would primarily associate with Middle Earth. I think pure white would have also been a very interesting choice. Anyway, apart from the colorization this has been a very pleasurable cover series to work on. Somehow this time my custom covers came together as if by magic. Everything fell into place immediately. I had such a great time that I decided to revamp my other two Hobbit entries as well. I’ve found some awesome key art for Smaug that I just couldn’t skip. And two years ago, on Journey, I had an entirely different designing routine – and some covers interestingly seemed to be a bit blurry. So now, after bringing them up-to-date, the whole trilogy is completely homogeneous. The gallery above is for the most part based on the existing poster material, but I also worked with book covers (#8) and images from the official websites (#12, #13). Basically everything in a high enough resolution was in line. 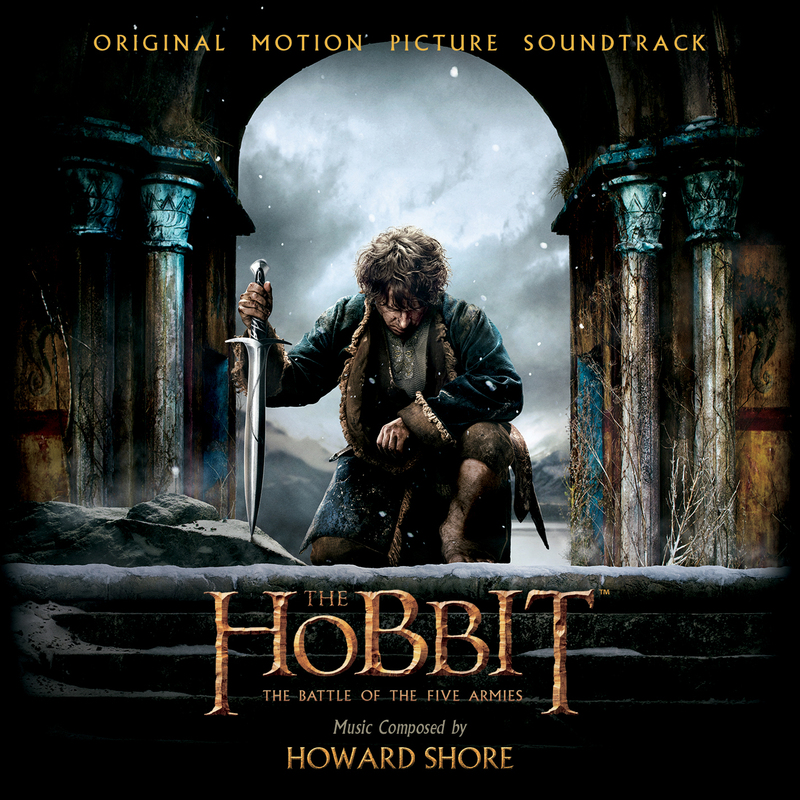 By now it was almost routine, surveying the released film posters, picking out my candidates, applying my already prepared and well proven album credits template and saving the final image as yet another Hobbit custom cover. However there were two entries that didn’t run as smooth as the rest. 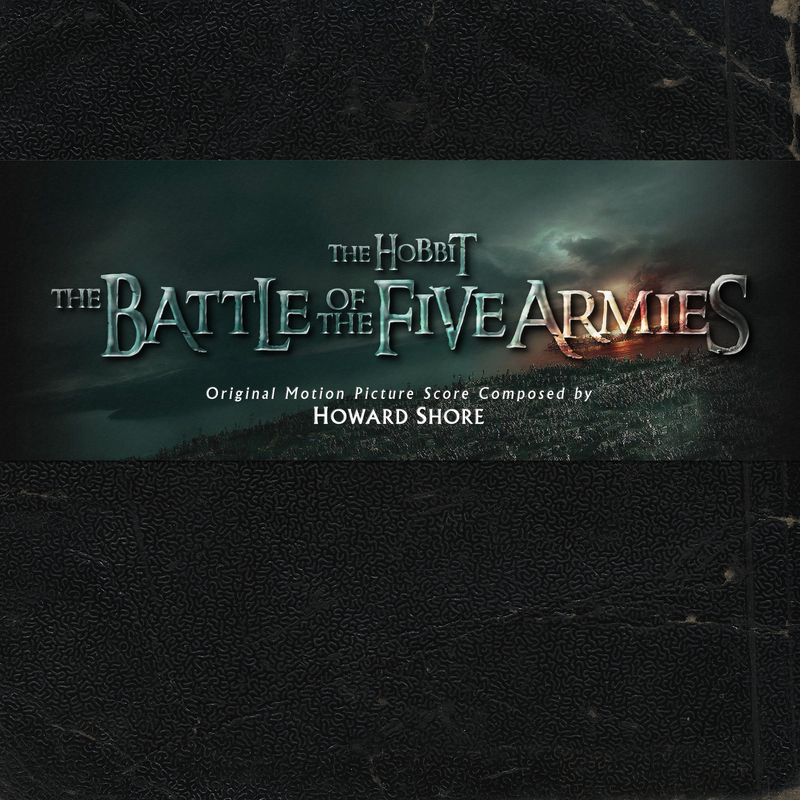 The first is a tribute to the old Lord of the Rings Limited Edition soundtracks with their leather-like book style packaging complete with a cardboard o-ring ribbon (#13). I created the title treatment myself and took the image for the ribbon from the official Orc Attack browser game. The one thing I struggled with the most, was the text style on the logo. I’ve tried so many different styles from literally everywhere, combined them on top of each other again and again until I completely lost sight of the big picture. It was a real mess and at some point I really wanted to delete the whole Photoshop file (which at that point had grown over 100MB). But by starting all over and limiting it to the very basic values I think the end result is quite satisfying. 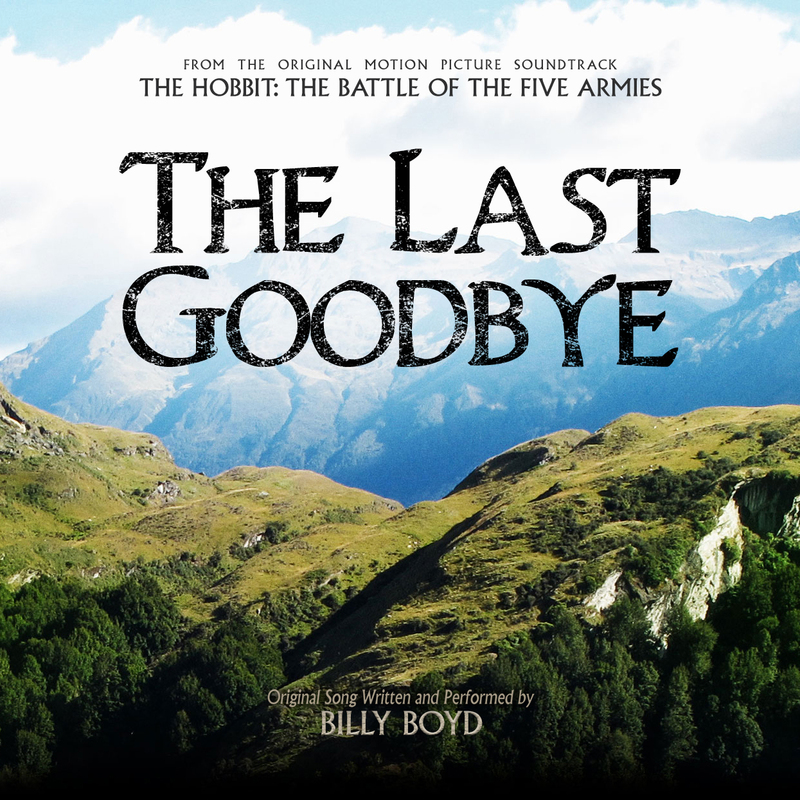 The other one was the single cover for Billy Boyd’s end credits track “The Last Goodbye” (#14). I was bothering forever about the design direction I’d want to go on this one. 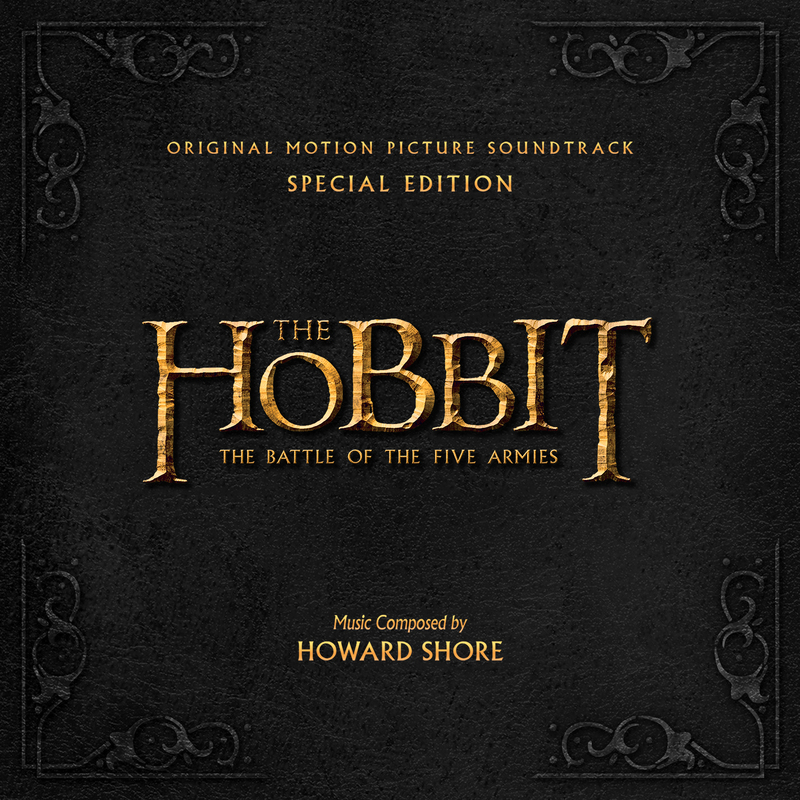 Without any suitable source material left and without getting into the song even on multiple listenings, I finally settled on a Middle-Earth theme. Saying farewell, like the characters within the movie to each other, as well as real world audiences around the globe to the film franchise, a Middle-Earth themed cover artwork seemed to fit it all. It also was the very last cover I’ve created for this series and thus represents my departure from the world of The Hobbit as well. So… while brainstorming (and also trial and error’ing) took forever on this one, the actual creation process was merely a matter of minutes. I guess sometimes you just have to wait for the time to come. I used the font “Dwarf Runes” for the top and bottom banners and incorporated some text excerpts from the lyrics. The title treatment in the middle was customized and stylized with two different layer styles from this collection created by deviantArt user “JesseLax“. Maybe the end result is a bit too flamboyant, but I don’t think I could improve it anymore without starting over again. And I like it too much to do that. The last few days I was waiting for Warner to release a final one-sheet poster I could use, but they’ve let me down on that one. So there’s nothing else for me to do, but say a big thank you to all my visitors with the following character covers gallery, which at the same time conclude this series for me. The digital booklet once again features extensive liner notes by Doug Adams and also has just brought to my attention, that the second bonus track was indeed taken from the Extended Edition of The Desolation of Smaug. 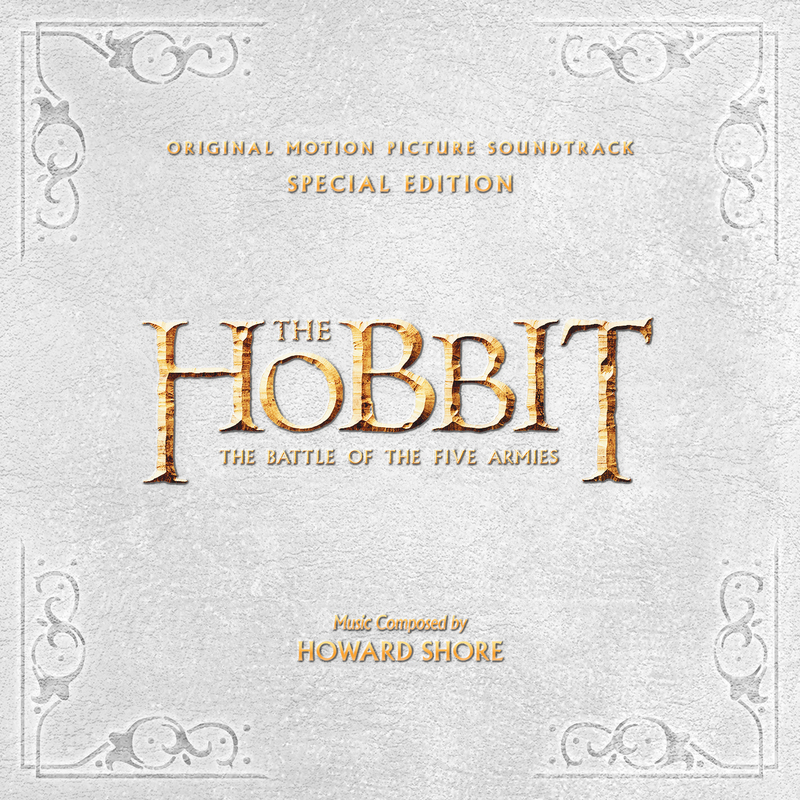 An interesting side note, considering that the Extended Editions have music that hadn’t been published yet. This leaves hope for either Complete Recordings or at least for some kind of rarities album. After all we’re still waiting for the release of the showdown music from An Unexpected Journey. Man…, all, ALL these covers look Amazing!!! Thankyou soo much! Thanks! I noticed you also commented on Smaug one year ago. So thank you for coming back and also for commenting. I hope I’ll see you around again even though there won’t be another Hobbit entry.